$23.00 Please allow 1 weeks lead time. 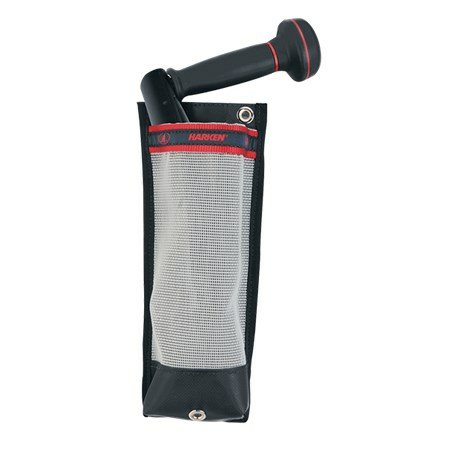 Safely store your winch handle in this strong, lightweight (3.2 oz), UV-resistant mesh holder. Drain hole in bottom. Accommodates most winch handles, including Harken B8, B10, and Carbo® OneTouch®. 18 oz, UV-resistant polyester mesh; bottom reinforced with 22 oz black vinyl.